Yemeni forces say they have successfully targeted a Saudi F-15 fighter jet just hours after downing another Saudi warplane. According to Yemen's Arabic-language al-Masirah television network on early Monday, the F-15 was hit while flying over the capital Sana'a. On Sunday, Yemeni air defense forces announced that they had intercepted and shot down a twin-engine and multi-role Panavia Tornado combat aircraft belonging to the Saudi-led military alliance over Kitaf wa al-Boqe'e district in the country’s northwestern mountainous province of Sa’ada. Use of decoy flares by Saudi F-15 targeted yesterday might reflect use of IR-guided R-27T variant. F-15 was hit. Look better. When missile hit the target , it disintegrate. Too many parts for the missile and too big, specially if it is MANPAD, so there are parts of F-15 as well. 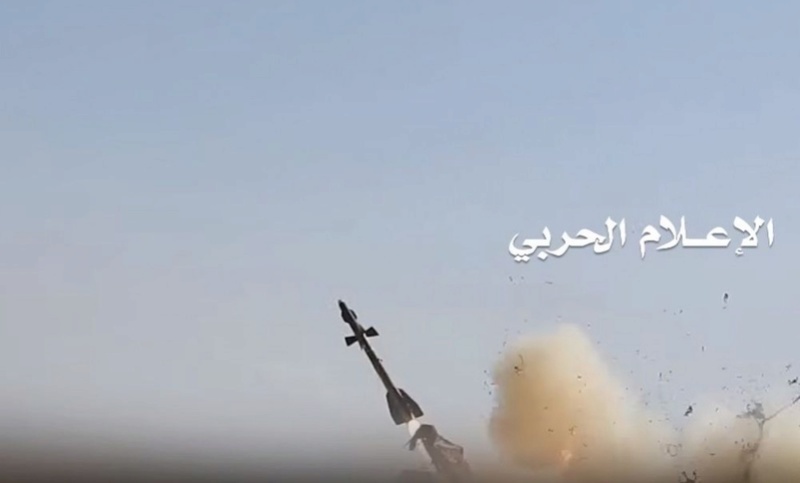 I think it was MANPAD, because it went into contact with plane, so missile like Igla (SAM-18) or similar. Any bigger missile would not go in contact, but would explode under the plane, that the effect of fragments would be on larger area to destroy vital parts of the plane. Could be, that missile only hit nozzles, what mean one engine was damaged, but still able to fly. If this was IR guided missile and MANPAD for sure is, than this is a big trouble for Saudis and US as well as this mean, that US flares don't work against those IR guided missiles. It was clearly seen, that missile ignore flares and went dirrectly into F-15. On the other hand old russian flares work against new US made AIM-9X IR guided missile, when it lock on flares launched from Syrian Su-22. I have indeed been looking at this quite closely. IMHO the F-15 was running for its life, on full afterburner. To assist this the crew decided to shed their drop tanks either to increase speed/manoeuvrability or to deploy them as super flares. Whichever it was I believe that by luck or skill it saved their lives. As I understand it, the process is to hit release, the system then decouples the piping (which may discharge a lot of fuel in an emergency) and when that is complete the bolts are released and the tank drops. Bear in mind that the F-15 can carry three tanks. Look at the video. Before the first object drops there is a large burst of flame around the plane, possibly fuel streaming out of the piping and ignited by the exhaust, then the object is released and bursts into flame. Then exactly the same with the second object. Then after roughly the same time delay as to the release of a third object the missile hits something. The plane however, without any change to its heat signature or shape continues on its way. I would suggest that a blazing fuel tank makes a pretty good target for an IR missile, perhaps better than the aircraft. Also bear in mind that the alternative hot objects likely in this scenario are flares but they have a completely different pattern and generally do not engulf their launcher in flame. Given the way that this was set up to be filmed by the Houtis it seems to me to be highly unlikely that they would stop filming just at the moment the F-15 would fall to bits, unless it didn't. Given the claimed location of the incident it is strange that there is no smoke trail down or wreckage videos. Oh, and I'm not sure but I don't think they claimed to have downed it, just hit it. The Tornado definitely came down. Incidently given the potential height of the incident this is very unlikely to have been a MANPAD, much more chance it was a AAM like a R-27 repurposed for SAM use. Such have been photographed. JohninMK wrote: I have indeed been looking at this quite closely. Not rare you look as closely to this, since to defend the US armament agrees with what you habitually do in this forum. Again no claim the F-15 was downed. Anyone ID the missile? The new missile system has already shut down the Saudi-led coalition’s Tornado military aircraft while it was flying over Sa’ada province and in the meantime, targeted another enemy’s F-15 plane over the capital Sana’a, the Yemeni Air Force and Air Defense said in a statement released on Tuesday. 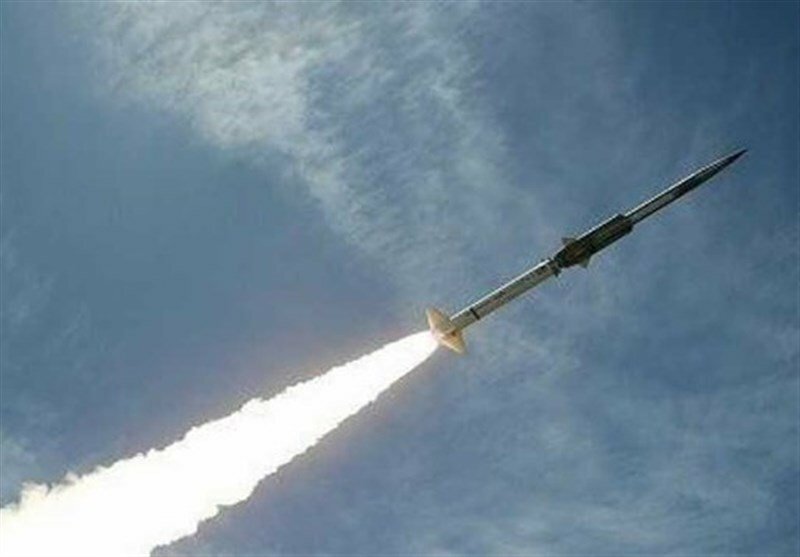 It said that despite enemy attacks to get the Yemen’s Air Defense System out of service, the unit has revived gradually and now was able to attack enemy military aircrafts," read the statement. Could someone summarize in a few words the causes of this remote conflict? Thanks. Giulio wrote: Could someone summarize in a few words the causes of this remote conflict? Thanks. Flipflops strike again, inside Yemen this time. A few days ago they nailed a Sudanese 1* (UAE mercenaries) along with many of his men and gear. Also, having starved millions the Saudis are flying in 30 C-130 loads of aid to somewhere in the country. So what's peoples predictions for the likely outcome of the conflict???? I have Saudi and Egyptian friends who point blank refuse casualty figures for coalition other than those published by Saudi Arabia. They also believe Houthis only hold 10% of the country and predict a coalition win within months. I personally think it wont be over anytime soon and Houthis hold more than 10% and coalition casualties are fairly high. As outcome I couldn't say. It is already a humilliating quagmire for Saudi Arabia and others. It shows how a well determined opponent can fight a much more powerful foe. Also shows the capabilities Iran has to back a shiite proxy force. I believe the outcome would be long and painful and eventually Russia will step in as a peace guarantor, as consequences of their succes in their intervention in Syria and the weakened position of the USA. what is the possibility for the country to be partitioned? George1 wrote: what is the possibility for the country to be partitioned? It's been split before don't see why not I actually think it's the best solution although Saudi Arabia wouldn't allow it. Though some Western observers (& #Yemen govt officials) contend that AQAP has such staying-power in Yemen because some tribes provide backing—safe havens, fighters, etc.—@Ndawsari's research found pretty much the opposite. Houti fighters hit another Saudi F-15 with ground launched R-27T AAM. Saudis claim, that their F-15 managed to return to the base. It looks like Russian IR guided missiles doesn't have problem to hit modern western planes. Interestin is, that 2 F-15 survive hits. It seems CFTs absorbed damage from the warhead and the plane than throw burning CFTs. On the other hand, Tornado was shot down and most probably Eurofighter as well. #RSAF Col. Turki Al Malki: At 15:48 (GMT+3) today, a coalition aircraft flying in the area of operations over Sa'dah, #Yemen, got hit by a SAM missile launched from Sa'dah Airport. The aircraft completed the assigned mission and returened to its air base safely. Today #Houthi rebels shot-down an unknown aircraft using a Vympel R-27R air to air missile on a ground platform as SAM over Saada #Yemen. #Houthis claim it was a #RSAF / Royal #SaudiArabia Air Force F-15S, but it is most likely a UCAV because of its small size & quick explosion. At 1:30 looks like a failed patriot missile that crashes on the ground. Two missiles failed! One crashed to the ground shortly after start, another one was exploding seconds after start in the air. Probably the crashed Patriot missile killed one person. At all it's a gigantic fail rate, I don't know if it's the Patriot System or Saudi operators?! If I would be a high western general, adviser or politician...I would be in panic mode about a not really reliable defense system! It wasn't reliable in 1991 why would it be today ? They tried to make it ABM capable only with marketing. They know it's not capable against BM.